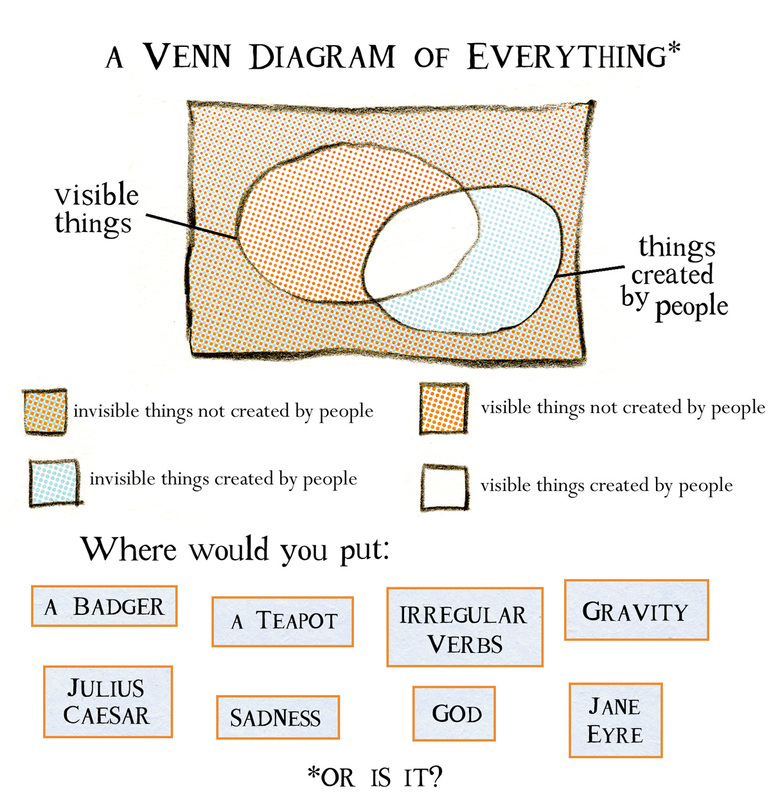 I don’t know where to put Jane Eyre. Is she visible or invisible, or both? Here are some impaled insects from the cabinets at Tring Natural History Museum, looking a bit surprised. Here is the Sunday Special Symbolic Lunch. Things may not always work out well first time. You may need to go right back to the drawing board. Again and again. 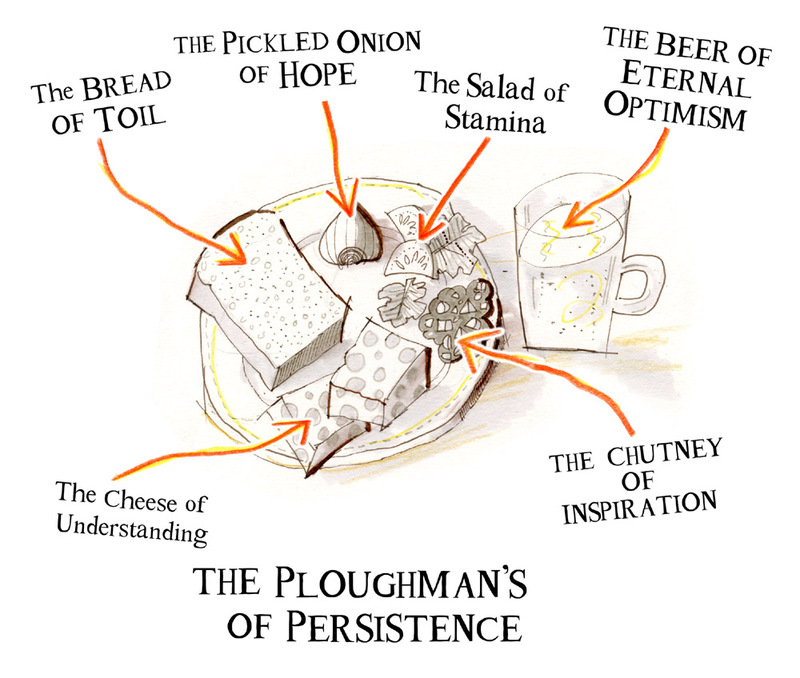 In which case – have a good helping from this week’s lunch: the Ploughman’s of Persistence. 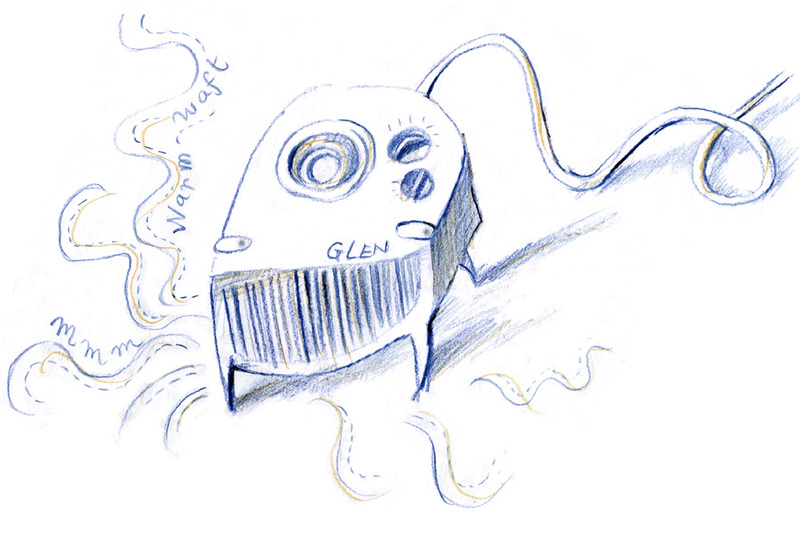 Our broken boiler has meant we’ve needed the help of GLEN. 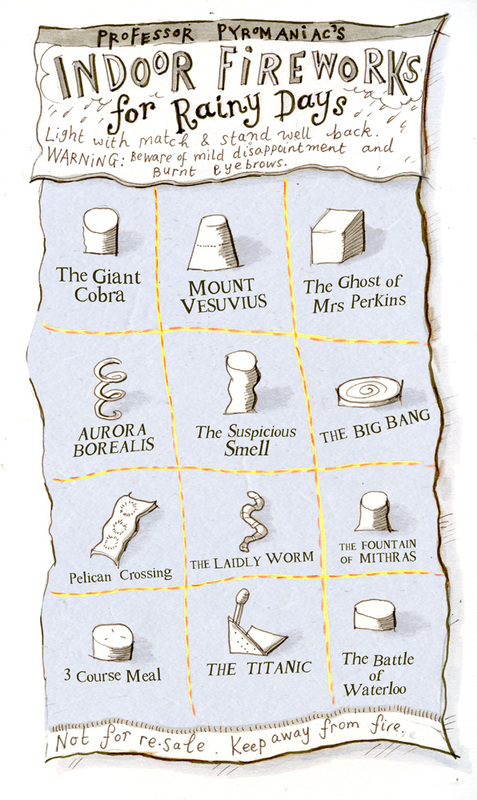 For firework excitement in case of inclement weather. 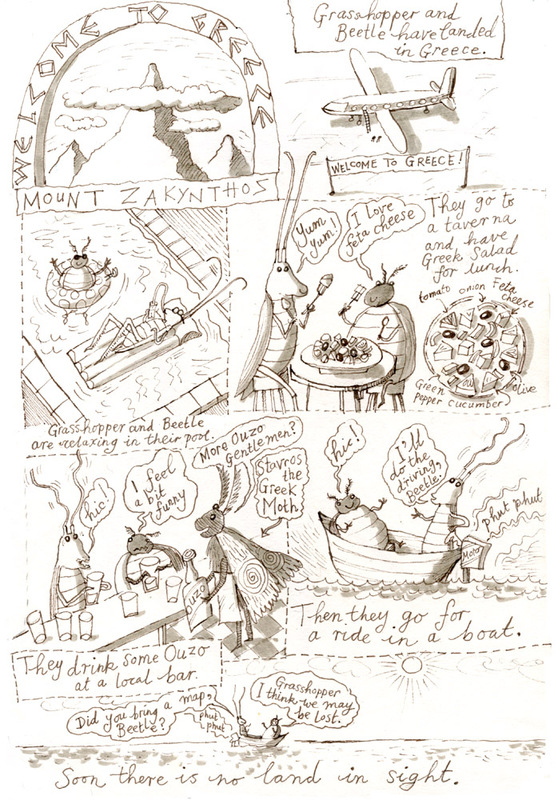 The holiday takes a disastrous turn, as Grasshopper and Beetle unwisely hire a boat after an Ouzo-fuelled lunch. 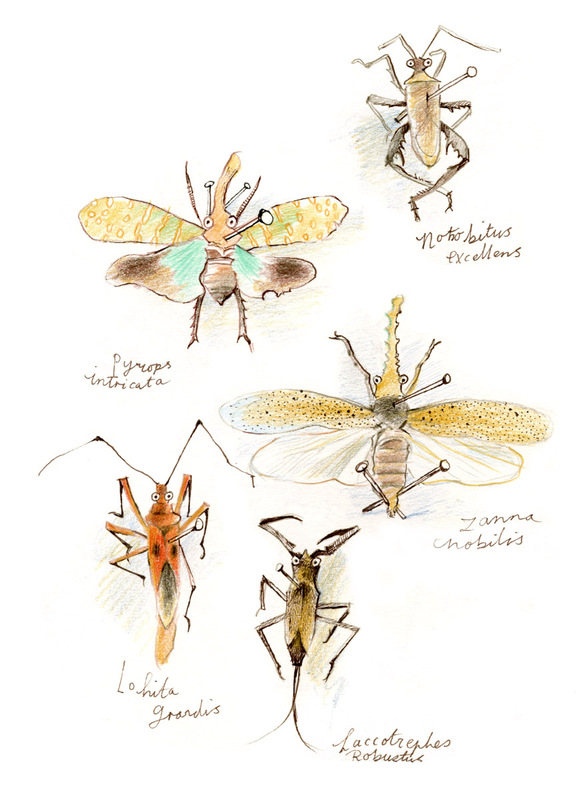 What next for the befuddled insect duo? 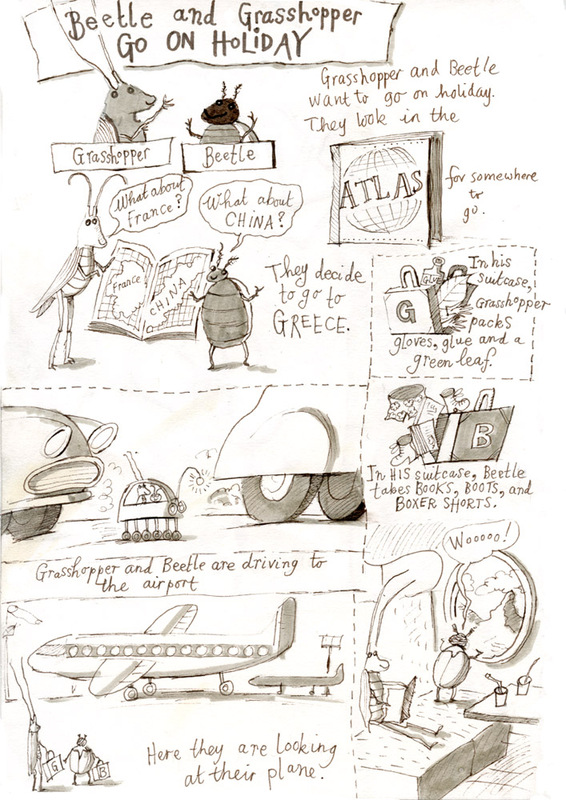 Grasshopper and Beetle embark on an ill-fated Mediterranean mini-break. 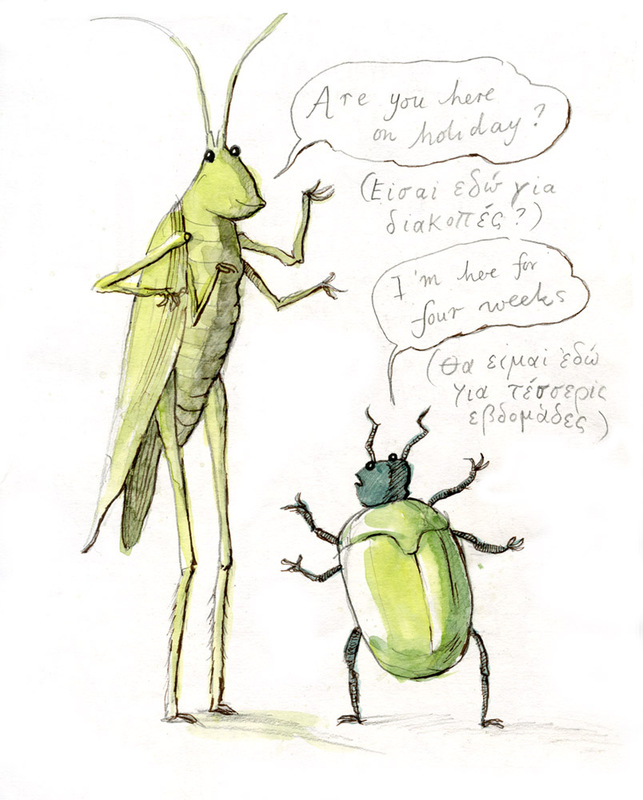 Grasshopper and Beetle are practicing their Greek.